Mid-Autumn Festival is one day. For some reason, the powers that be, allow everyone to take a three day holiday with the understanding that two of those days must be “made up”. This year, Mid-Autumn Festival fell on a Wednesday. Thursday and Friday were also deemed as holidays thus making Saturday and Sunday work days. In our world this means that Schäfer had preschool on Saturday and Sunday. Yes, that makes the following week a 7 day school week. This year also proves to be a planning challenge for the powers that be because National Holiday (the equivalent of Fourth of July) is October 1st. Since we roll to the Lunar Calendar, the moon decided there would be just six days between Mid-Autumn Festival and National Holiday. This makes for the most complex holiday planning the PRC has ever had to deal with. For Mid-Autumn Festival we started with a special breakfast of Baked Oatmeal. Yum! Then, we went couch shopping hoping for a holiday sales event. Schäfer had fun riding his bike around the five story building. Yes, we let him take his bike inside. When you’re three, it’s an exciting way to couch shop. He was also happy to try out a set of bunk beds. He has since asked for a set of bunk beds for his birthday. We’ve been talking about getting him bunk beds for quite some time, but seeming his leaping enthusiasm today made me a little nervous. 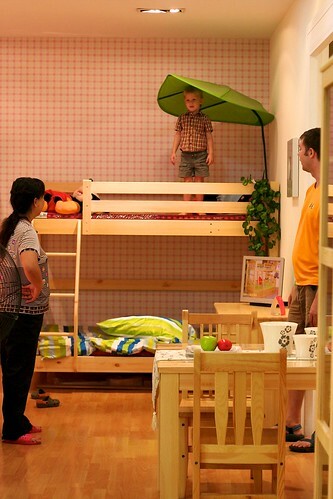 Still, the kids room is small and raising the bed would save a lot of space. All suggestions welcome. 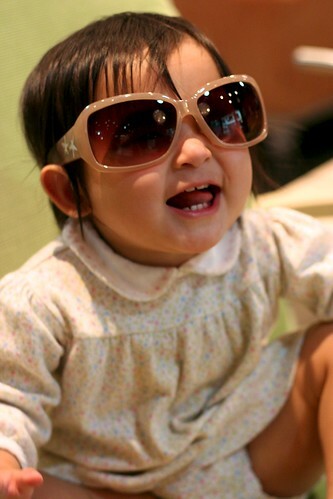 Sianna passed the time with my sunglasses. 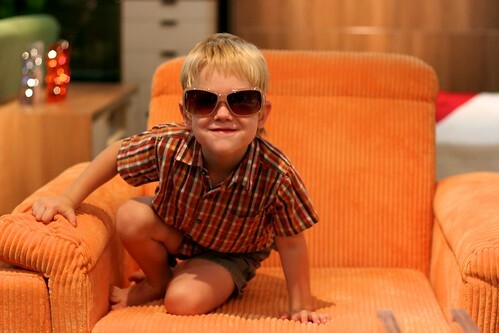 She enjoyed crawling around on this couch rockin’ mommy’s sunglasses. Schäfer liked this bright orange plush couch, but I couldn’t see us sitting on this fabric when it’s 105 degrees in July. On our way home, our local bakery gave us a bunch of mooncakes. 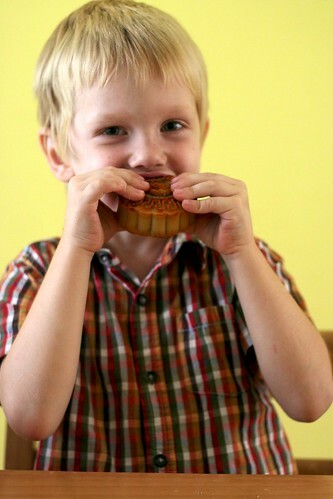 After pot pie for lunch, the kids both enjoyed eating some mooncake. Schäfer ate 1.5 mooncakes and begged for more. 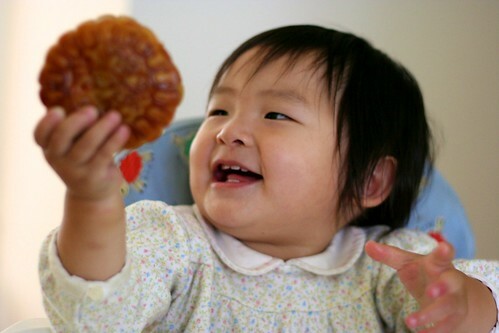 Sianna thought the mooncake was really exciting. I did think about the fact that this is our first Mid-Autumn Festival together, but it’s not her first Mid-Autumn Festival. Last year, she would have been 4 months and 12 days old. 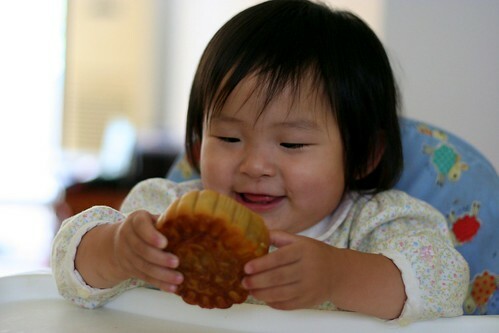 Considering that she was such a wee one, I’m thinking this is definitely her first mooncake! It’s hard to believe that last year at Mid-Autumn Festival we looked at the moon and sent wishes to Sianna! 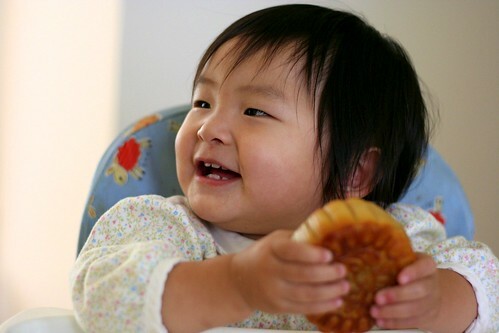 Don’t worry, we cut up some mooncake and let her have a taste. Sianna only wanted one or two bites. Maybe it’s because she filled her tummy on pot pie? 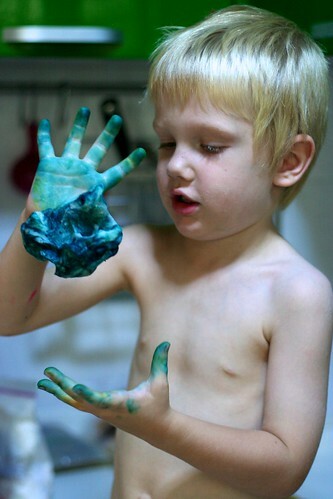 That afternoon, Hubs logged in some work hours while I cleaned the kitchen. Thrilling, I know. When he got home, Sianna and I made a late run to the market for supper. I made a new chunky potato soup with extra carrots and soybeans. It turned out really good, despite the fact that I didn’t have any parsley. I love soups because I always go “off recipe” but generally don’t mess them up. Hubs said that the Amish White Bread was “artisan”. I thought it turned out pretty well for something I threw together during nap time. The weather has turned from 91 degrees to 65 thanks to a rain storm. We had hoped to go for a walk outside after supper to look at the moon, but alas it was cloudy and raining. We enjoyed German Pancakes for breakfast. 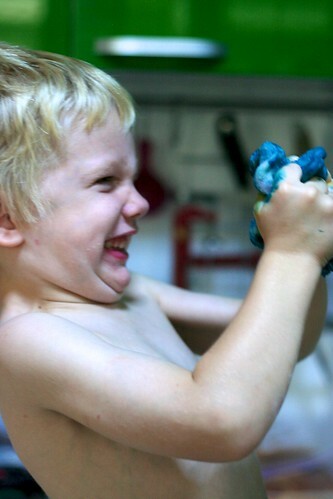 Meanwhile, I washed dishes (is there ever an end?) 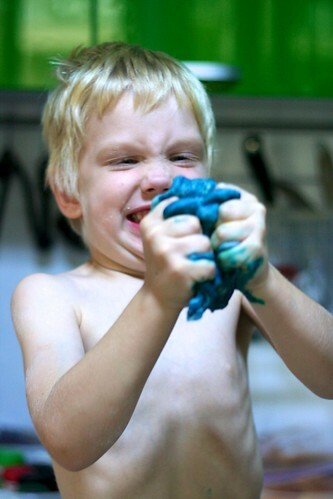 and had fun making play-dough with Schäfer. Since he’s started 1/2 day preschool I feel like we’ve missed out on some fun times together. Schäfer was excellent at mixing the colors in. 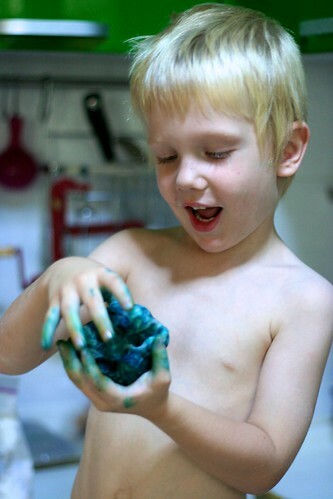 Today, he made: red, blue, green, yellow and pink play dough. After nap time, we gave the kids the option of going on a family bike ride or going to Jump Zone. Schäfer said he wanted to go to Jump Zone. (It’s all the way across town so we haven’t been in months.) Sianna didn’t care what we did just so long as we did it together. 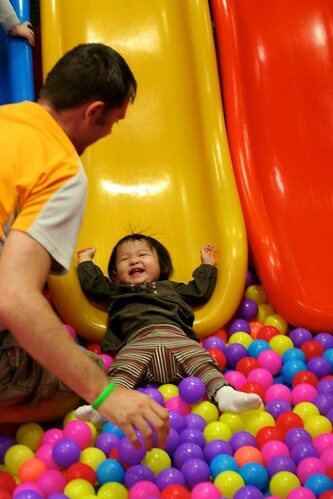 She loved Jump Zone. 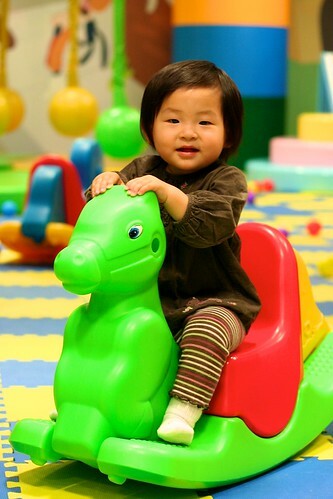 At first, she couldn’t get on this little horse, but by the time we left she could climb on and off by herself. 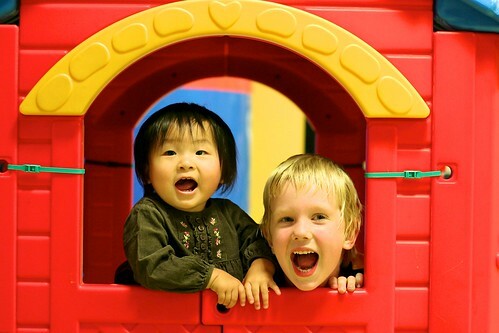 Both the kids loved playing in this little house. He loves his Mei Mei. 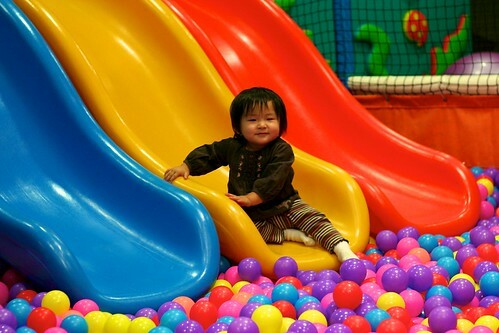 Sianna, who use to be terrified of the ball pit, is now completely unafraid. 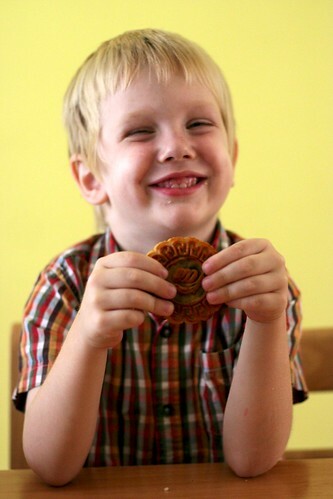 At the end of the holiday, Schäfer’s teacher, Hu Laoshi, called just to talk to Schäfer to make sure he had eaten a mooncake. (She also had to tell me to pack 2 books and a photo in his backpack.) I’m sure she was calling all 16 of her students, but it was neat for Schäfer to get a personal call. Our boys (at the time 3, 2) have had bunk beds for about a year now and they have done fabulous. It gave us more space in their small room too. They also felt so big. Our oldest was almost 4 at the time. He is not a roller and it has railings at the top. If he rolled alot in his sleep I might have been a bit more hesitant. We also created a rule that they were not allowed to play on the top bunk. it seemed to work. We opted for the bunk beds with the stairs instead of just the ladder. We felt like it was safer & there’s storage available underneath the stairs. Top & bottom were singles, so saved even more space; it seems like most have a double on the bottom. At that time I thought the top bunk was hard to make, but now that we have a trundle bed I feel like both are harder to make up! Thanks for the tip! By the way, today Schäfer said he only wanted 2 people at his wedding. I asked who he wanted to invite and he replied, “Jeff & Thuy!” Miss you guys.